Draft: 2007, Atlanta Braves, 3rd rd. Attended San Jacinto Junior (TX) before transferring to Texas A&M University...Helped the Aggies win the 2007 Big 12 tournament and the NCAA regional tournament in his junior year. Spent the majority of the season with the triple-A Las Vegas 51s, batting .283 (90-for-318) with 11 home runs and 49 RBI in 95 games...Missed a month of the season from April 4-May 14 with a right Achilles strain...made a brief rehab stint with the St. Lucie Mets, appearing in two games...His best month came in June where he batted .324 (33-for-102) with four home runs and 19 RBI in 28 games. 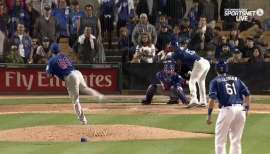 Was claimed off waivers by Oakland on March 13 and spent most of theyear with Sacramento (AAA) of the Pacific Coast League...For the year, he was with Oakland on two separate occasions: June 23 toAugust 2 and then again from September 1 until the end of the season...Hit his first big league home run on July 18 against Texas, a "walk-off" homerun off Michael Kirkman in the bottom of the ninth inning in the A's 4-3victory over Texas...Became the fourth player in Athletics history to hit a game-ending homerun for his first major league home run...Had his only career multiple-hit game July 27 at Baltimore, when he went2-3 with a home run...Collected a home run two games later, July 30 at Tampa Bay giving himthree home runs over an eight-game stretch from July 18-July 30...Stole the lone base of his career July 29 at Baltimore...Was hitting .183 in 20 games when he was optioned back to Sacramentoon August 2...Eight of his 11 hits during his first sting were for extra-bases(five doubles, three home runs)...Started September 1 at shortstop vs. Boston... His last appearance was aas a pinch hitter September 13 at Los Angeles...Led Sacramento in home runs...Also had a career-tying 26 doubles for a career-high .506 sluggingpercentage...Appeared in 63 games at shortstop and 30 games at second base at TripleA...Hit a home run in four straight games, June 17-June 21. Opened the 2011 season on the Major League roster for the first time on his career and appeared in 12games (.100, 1-for-10, 1 RBI) before being optioned to Gwinnett (AAA) on 5/7...Collected his first Major League hit and RBI as a pinch-hitter on 5/1 vs. STL with a single to left field in thebottom of the fifth inning...Was also on the ML roster two other times after being recalled on 6/10; optioned to GWI on 6/17 andrecalled on 7/9; optioned for a final time to GWI on 7/15...Posted an 11-game hitting streak, 6/24-7/4, hitting .378 (17-for-45) with five homers and 11 RBI during thatspan...Plated a season-high five runs on 6/5 vs. BUF and collected a season-high four hits on 7/31 vs. IND...Had a .293 (34-for-116) average with eight home runs vs. lefties and hit .233 (57-for-245) with 10 homersvs. right-handers. Shortstop spent first season with Triple-A Gwinnett, batting .211 with nine doubles, seven home runs and22 RBI in 77 contests. 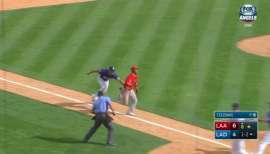 Also swiped 10 bases...Made first appearance on Major League roster when he had his contract purchased on 5/4 to replace theinjured SS Yunel Escobar...Appeared on the Major League roster five different times: contract purchased 5/4, optioned 5/15; recalled6/12, optioned 7/15; recalled 8/13, optioned 8/17, recalled 8/18, optioned 8/19 and recalled 9/20...Appeared in 16 games for the Braves, including 10 as a pinch-runner. Defensively he played in five contests(2-SS, 2 3B, 1 2B)...Made his Major League debut on 5/5 at Washington by pinch running for Troy Glaus in the top of the 10thinning; he scored the go-ahead run that won the game...Had a season-high five hits on 5/25 at Indianapolis and a season-high three RBI 4/24 at Durham...Had his season cut short due to a fractured right index finger suffered on 8/20. Underwent successful surgeryon his right index finger performed by Dr. Gary Laurie on 8/25 in Atlanta.Was recalled from GWI on9/20 and placed on the 60-day disabled; activated off DL on 11/9. Shortstop played first full season at Double-A Mississippi, where he led the team with 10 home runs, 25 doubles and 464 at-bats, and ranked second in RBI (48) and hits (110)...His 25 doubles ranked tied for seventh-most in the Braves organization, while his 10 home runs were eighth-most and his 110 hits were tied for ninth...Following the season, Baseball America rated him the 18th-best prospect in the Atlanta organization...Tabbed by Baseball America as being the "Best Defensive Infielder" and as having the "Best Infield Arm" among all Braves minor leaguers...Was successful on 17-of-18 stolen base attempts, which tied for seventh-most in the organization...Ranked fifth among Braves farmhands with 63 runs scored...Hit .288 (30-for-104) vs. lefties and .222 (80-for-360) vs. righties...His average was .224 (68-for-303) pre-All-Star break vs. .261 (42-for-161) after the break...Had his best month in August, when he recorded four home runs,16 RBI and 14 walks in 27 contests...Matched his career high with a two-home run performance 8/25 at CHA...Batted .310 (27-for-87) with five doubles, one triple, one home run, 11 RBI and seven stolen bases in 23 contests for the Peoria Saguaros of the Arizona Fall League. Was promoted to Mississippi (AA) from Myrtle Beach on 7/31 and reassigned to Myrtle Beach on8/17...Played 16 games at Mississippi and hit .241 with 1 HR and 7 RBI...Named the Braves ninth-bestprospect by ESPN.com...Was named the Best Defensive Shortstop and the 13th-best prospect in the CarolinaLeague by Baseball America...Was a Carolina League All-Star and named a CL mid-season and post-seasonAll-Star by Baseball America...Baseball America ranked him the best defensive shortstop in the CL and thebest infield arm in Atlanta's system...Ranked fourth among Braves minor leaguers with 20 HR, tied for fifth with77 runs scored and ranked ninth with 63 runs batted in...Was named CL Hitter of the Week for the week ending4/27 (.368, 5 R, 3 2B, 2 HR, 7 RBI)...Had a season-best 11-game hitting streak from 6/7-18 (.372, 16-for-43, 2 HR, 8 RBI)...Had a season-high two homers and five runs batted in on 5/26 at WSW...Had a seasonhighfour hits on 5/1 at SAL (4-for-5). Opened the season with Danville (R) and was promoted to Single-A Rome in July...Batted .395 overan 11-game hitting streak, 7/11-22, that included games at Danville and Rome...Named the eighth-bestprospect in the Appalachian League by Baseball America following the season...Hit .188 (13-for-69) with threedoubles, two home runs and eight RBI in 19 contests for the Peoria Javelinas of the Arizona Fall League. November 7, 2016 SS Brandon Hicks elected free agency. July 16, 2016 Oklahoma City Dodgers activated SS Brandon Hicks from the 7-day disabled list. 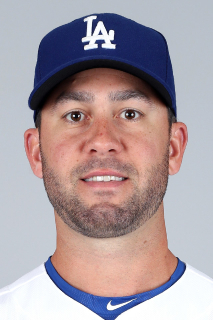 June 22, 2016 Oklahoma City Dodgers placed 2B Brandon Hicks on the 7-day disabled list. May 16, 2016 Oklahoma City Dodgers activated 2B Brandon Hicks from the 7-day disabled list. 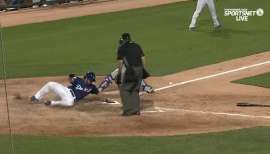 April 26, 2016 Oklahoma City Dodgers placed 2B Brandon Hicks on the 7-day disabled list. February 8, 2016 2B Brandon Hicks assigned to Oklahoma City Dodgers. February 1, 2016 Los Angeles Dodgers signed free agent 2B Brandon Hicks to a minor league contract and invited him to spring training. November 6, 2015 2B Brandon Hicks elected free agency. July 16, 2015 Sacramento River Cats activated 2B Brandon Hicks from the 7-day disabled list. July 11, 2015 Sacramento River Cats sent 2B Brandon Hicks on a rehab assignment to AZL Giants. April 16, 2015 Sacramento River Cats placed 2B Brandon Hicks on the 7-day disabled list. January 24, 2015 2B Brandon Hicks assigned to Sacramento River Cats. December 15, 2014 San Francisco Giants signed free agent 2B Brandon Hicks to a minor league contract and invited him to spring training. September 29, 2014 2B Brandon Hicks elected free agency. July 15, 2014 San Francisco Giants sent Brandon Hicks outright to Fresno Grizzlies. 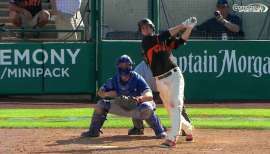 July 11, 2014 San Francisco Giants designated 2B Brandon Hicks for assignment. March 29, 2014 San Francisco Giants selected the contract of 2B Brandon Hicks from Fresno Grizzlies. November 20, 2013 San Francisco Giants signed free agent SS Brandon Hicks to a minor league contract and invited him to spring training. November 20, 2013 SS Brandon Hicks assigned to Fresno Grizzlies. November 4, 2013 SS Brandon Hicks elected free agency. May 16, 2013 SS Brandon Hicks assigned to Las Vegas 51s from St. Lucie Mets. May 14, 2013 Brandon Hicks assigned to St. Lucie Mets from Las Vegas 51s. April 5, 2013 Brandon Hicks roster status changed by Las Vegas 51s. March 24, 2013 New York Mets sent SS Brandon Hicks outright to Las Vegas 51s. November 26, 2012 Oakland Athletics traded SS Brandon Hicks to New York Mets. November 20, 2012 Oakland Athletics designated Brandon Hicks for assignment. October 12, 2012 Oakland Athletics activated SS Brandon Hicks. September 1, 2012 Oakland Athletics recalled Brandon Hicks from Sacramento River Cats. August 2, 2012 Oakland Athletics optioned Brandon Hicks to Sacramento River Cats. June 23, 2012 Oakland Athletics recalled Brandon Hicks from Sacramento River Cats. March 15, 2012 Oakland Athletics optioned Brandon Hicks to Sacramento River Cats. March 13, 2012 Oakland Athletics claimed Brandon Hicks off waivers from Atlanta Braves. October 1, 2011 Brandon Hicks roster status changed by Atlanta Braves. July 15, 2011 Atlanta Braves optioned 3B Brandon Hicks to Gwinnett Braves. July 9, 2011 Atlanta Braves recalled Brandon Hicks from Gwinnett Braves. June 17, 2011 Atlanta Braves optioned Brandon Hicks to Gwinnett Braves. June 10, 2011 Atlanta Braves recalled Brandon Hicks from Gwinnett Braves. May 7, 2011 Atlanta Braves optioned Brandon Hicks to Gwinnett Braves. November 9, 2010 Atlanta Braves activated 3B Brandon Hicks from the 60-day disabled list. September 20, 2010 Atlanta Braves recalled Brandon Hicks from Gwinnett Braves. September 20, 2010 Atlanta Braves placed 3B Brandon Hicks on the 60-day disabled list. August 23, 2010 Brandon Hicks roster status changed by Gwinnett Braves. August 20, 2010 Atlanta Braves optioned 3B Brandon Hicks to Gwinnett Braves. August 18, 2010 Atlanta Braves recalled Brandon Hicks from Gwinnett Braves. August 17, 2010 Atlanta Braves optioned 3B Brandon Hicks to Gwinnett Braves. August 13, 2010 Atlanta Braves recalled Brandon Hicks from Gwinnett Braves. July 15, 2010 Atlanta Braves optioned Brandon Hicks to Gwinnett Braves. June 12, 2010 Atlanta Braves recalled Brandon Hicks from Gwinnett Braves. May 16, 2010 Atlanta Braves optioned Brandon Hicks to Gwinnett Braves. May 4, 2010 Atlanta Braves selected the contract of Brandon Hicks from Gwinnett Braves. April 3, 2010 Brandon Hicks assigned to Gwinnett Braves from Mississippi Braves. February 17, 2010 Atlanta Braves invited non-roster SS Brandon Hicks to spring training.